My work in Restorative Justice provides me with many rewarding travel experiences, and my recent trip to Iran is at the top of the list. Professor Mohammad Farajahi, who teaches Persian law at Tarbiat Modares University in Tehran, invited me to attend a Restorative Justice (“RJ”) conference at its law school. I was one of seven keynote speakers from around the world, each asked to discuss how our respective country actively uses RJ processes within the criminal justice system. The conference also was an opportunity to discuss my current RJ projects as a panelist with Iranian and Iraqi lawyers and judges as well as to hear 40 scholars from Tehran present their research and findings on a variety of RJ initiatives. Professionally, the ability to interact with lawyers, judges, law students and the general public attending the conference was extremely fulfilling; personally, the cultural experience is unforgettable. Most Americans do not readily think about traveling to Iran — especially women and, in my case, women who happen to be judges — given that the country’s Muslim laws generally limit females in society and specifically prohibit us from serving on the bench. As the only American invited to the conference, I felt both honored and admittedly apprehensive. 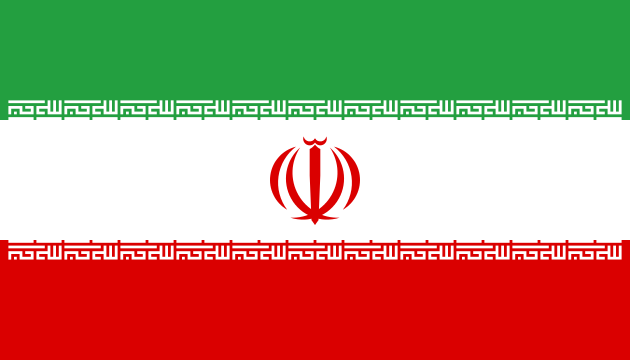 While I have many Muslim friends in the U.S. and have been to other Muslim countries, I knew religious rules and overall “do’s and don’ts” would be much stricter in Iran, where I would be without the security of an American embassy since Iran and the U.S. have no formal diplomatic relations. This circumstance meant I could not get a visa directly from Iran, having to work through Pakistan. Receiving my visa only 36 hours before my flight, I worried about what awaited me culturally. My clothing was a primary concern. From head to ankles, I needed to be covered despite being a foreigner traveling during the heat of summer. I stocked up on scarves for my head and shoulders and bought a montos, a knee-length coat that must be worn even when wearing pants. Only my feet could comfortably breathe as sandals are permitted. With 7,000 morality police patrolling the streets of Tehran to catch dress code violators and the Swiss embassy as my best option in case of trouble, I took no chances, donning my scarf and montos before getting off the plane. Properly attired at all times while in Tehran, I never ventured out of my hotel without someone from the university with me. And I limited my excursions, mindful that public restrooms consist of two holes in the ground — something requiring quite a balancing act for a woman in full garb and extra effort for me as I was plagued by a bad hip during my trip. Speaking of full garb, I could not help but notice that during my walks through the city of 8 million, I did not see one woman without the appropriate apparel, even though young Iranian women try to push the limits of the morality police. But more striking to me than the constraints and inability to tune into CNN or access the full Internet was a profound realization that will always be my most cherished souvenir: religious customs, laws and political differences aside, Iranians are wonderful, caring people with visible values that the Western media does not readily portray. Indeed, forgiveness plays a big role in their society and the evolution of Iranian law. Even if someone is sentenced to death for committing murder, the victim’s family can stop the execution if it chooses to forgive the criminal. The power of forgiveness is what motivates the Iranian people’s genuine and strong interest in RJ. Frankly, among all of my world travels in support of RJ — from Europe to the Near East — the Iranian legal authorities’ expressed desire to use RJ principles for addressing violent crime is unmatched. Equally unmatched in my estimation is the kindness of Iranians. Each of us keynote speakers received the utmost attention and care as well as lovely gifts. Yet what struck me most was the helping hand from a male student as my ailing hip made climbing up and down the conference stage stairs a challenge. In front of a full audience, this gesture showed how simple human kindness supersedes rules in a place where men do not publicly touch women. In the West, we often do not see the humanity of Iranians, who care deeply about how they are perceived globally — especially in the U.S. Angered by media that seemingly casts all Iranians as religious fanatics and terrorists, many of the 200 conference attendees asked me what I would tell people back home about the people of Iran. I told them I would share how Iranians are bright, caring and family-oriented. As I waited for my return flight, the mothers, fathers, grandparents and children I quietly watched boarding a plane to Baghdad clarified exactly what I would say: that my experience was humanizing. The common expressions that “people are people” who all “just want to live our lives” were reinforced for me while in Tehran. We share values; we all laugh…and we all cry. Indeed, at the end of the conference, my Canadian keynote colleague publicly expressed how touched she was by the warmth of the Iranian people, bringing tears to the eyes of some of the local male law professors. For my part, I don’t know if I had an impact in Tehran through my role at the conference, but Tehran definitely had an impact on me. At its core, Restorative Justice is about seeing people as people; my experience in Iran gave me a new perspective of that premise — a gift for which I’ll always be grateful to the Iranian people. Great post, Janine. You can add “citizen diplomat” to your list of many, many accomplishments. What you experienced is what we know about people everywhere, and yet what seems to get forgotten in all the jingoism and fear mongering and fight-picking that seems to dominate the airwaves (maybe a break from 24-hour news channels isn’t such a bad thing). Thanks so much for sharing this. This was very refreshing. It is a pleasure to have exposure to something other than the stereotypes. Thank you.